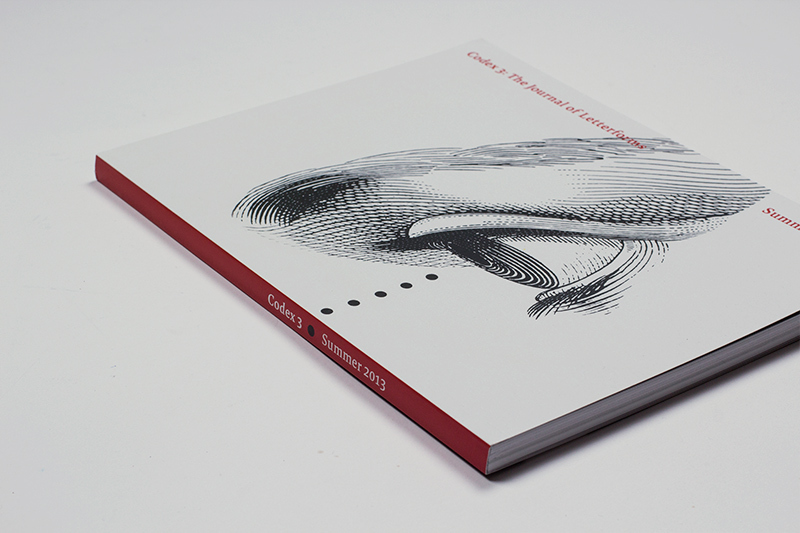 Die neue und dritte Ausgabe von Codex – The Journal of Letterforms ist erschienen. Ursprünglich planten die Macher im Herbst letzten Jahres ein Feature über “the Roman classical capital” in Ausgabe 3, jedoch stellten sie bei der Recherche fest, dass dies eine eigene, ganze Ausgabe füllen würde. Das Thema ist nun also auf Codex 4 verschoben, auf das man schon sehr gespannt sein kann. Die nun vorliegende, neu zusammengestellte Ausgabe stellt einen bunten Mix an Artikeln über zeitgenössische, armenische Schrift bis hin zu niederländischen Type Specimen aus dem 18. Jahrhundert dar. Pressetext: Beautifully designed, visually appealing, an immersive experience with a lively voice; it is also serious about its subject: authoritative, scholarly at times, but not dry in tone. It’s serious, but not stuffy, and loves the people, tools, and type associated with this craft, from the man carving beautiful cherubim into wood blocks in the 1400s to brilliantly formed modern interpretations and departures. Codex 3 begins with a colorful review by James Clough of the HWT Chromatic Set, the first group of typefaces in the Hamilton Wood Type collection that P22 is digitizing. Next up, Frans Janssen takes a look at the famous 1768 Enschedé type specimen; then an in-depth interview of type designer Freda Sack. Canadian type designer Nick Shinn writes about the hidden history of type in the 20th century, while Greg D’Onofrio and Patricia Belen of Kind Company provide a fascinating & detailed look at Lester Beall’s pioneering corporate identity manual for Connecticut General. Alexander Tochilovsky and Emily Roz follow with a profile of the Herb Lubalin Study Center of Design and Typography at Cooper Union. This is supplemented by a beautiful foldout of Gastrotypographicalassemblage designed by Lou Dorfsman and Herb Lubalin for CBS. Plus a glorious glimpse of the rich architectural and monumental lettering tradition at Yale University, and much more.